Saves money and increased the resale value of my home! 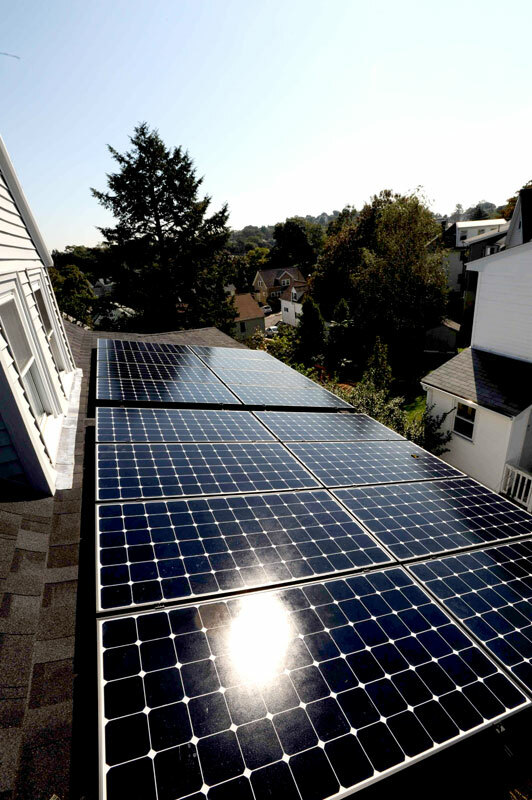 My system comprises 16 solar panels that were split into two groups: 7 panels power one unit of my two-family home, and 9 panels power the larger second unit. (You can toggle between the two arrays here: http://bit.ly/rD7JyW.) 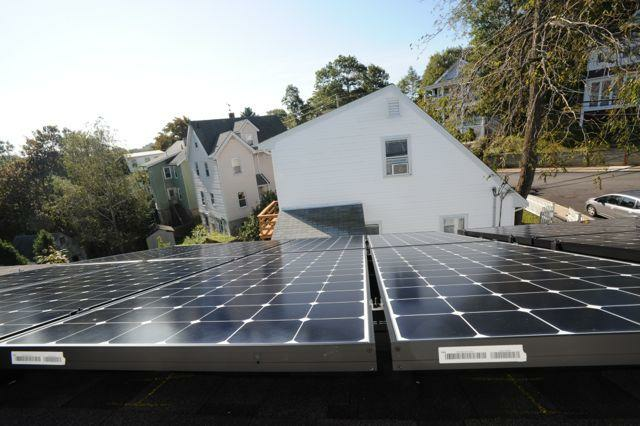 Rather than a single inverter, my system uses micro-inverters.There are 16 of them: one micro-inverter for each solar panel. My neighbor's tree influenced my decision to install micro-inverters. (No, I did not have a conversation with the tree.) The tree partially shades the corner of my roof from time-to-time. If my system used a single, system-wide inverter and one panel of my array was shaded by the tree--reducing its output, say, to 60%--then that reduction in output would cascade across the entire array, and the output of every panel in the array would drop to 60%! 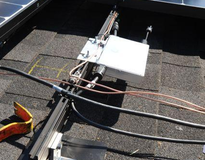 Now, because there is a micro-inverter working with each solar panel, a reduction in the output of a shaded panel (or one with a bit of snow or debris on it) will not affect the output of any of the other panels. 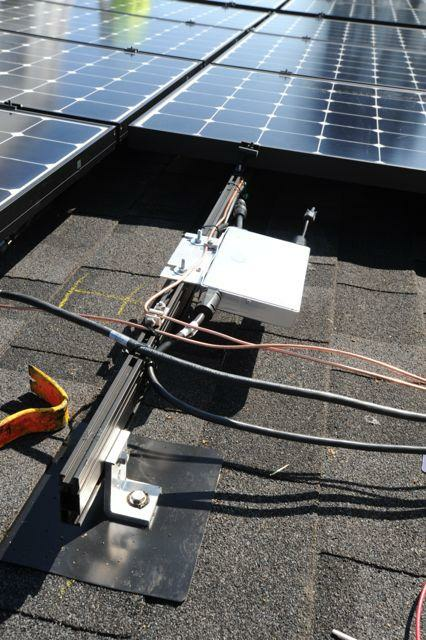 The micro-inverters allow me to get the maximum production out of my array at any given time. My primary motivation was to save money. My secondary motivation was to increase the resale value of my home. A series of circumstances also contributed to my decision to move ahead with the project: first, the ridge line of my roof runs almost perfectly east-west--that mean that half of my roof faces south, which is perfect for a photovoltaic (or solar thermal) array; second, I had to install a new roof on my home last year, and that made the timing just right--the useful life of the roof, and the useful life of the photovoltaic system are both twenty years. 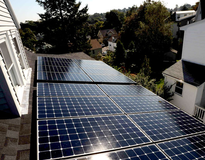 It was difficult for me to find financing for my photovoltaic (PV) system, and I imagine many people will experience the same difficulty that I had in this down real estate market. Here's the problem. I bought my home in 2002. From 2002 through 2007 the value of my home soared an astonishing 29%! And then The Great Recession arrived. 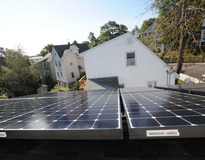 Flash forward to 2010, when I was applying for a second mortgage to finance my PV system, and I discovered that the appraised value of my home had declined significantly. In order for me to qualify for a second mortgage the combined value of my first mortgage and my second mortgage (called the "Combined Loan to Value ratio, or "CLTV") could not equal more than 75% of the appraised value of my home. Unfortunately I was right there on the cusp, with a CLTV of between 75%-76%. The big banks told me to get lost. 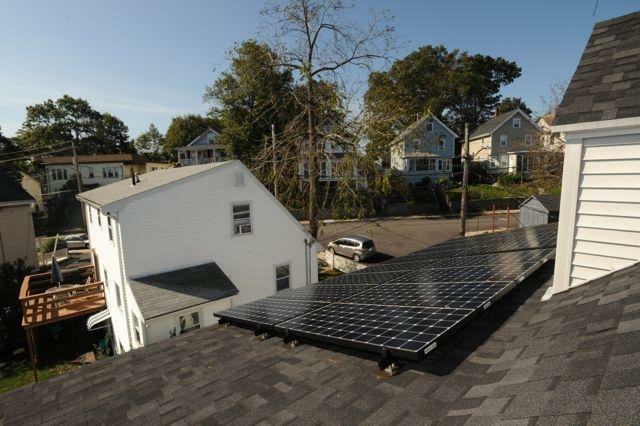 Fortunately, my friendly credit union agreed to give me the second mortgage, and I was able to move ahead with the purchase of my PV system. 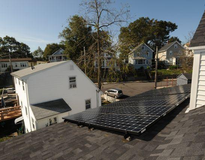 But don't be disheartened--if your CLTV is well above 75%, and you can't qualify for a second mortgage, you can always lease a PV system, or enter into a Power Purchase Agreement with a company that will install a PV system on the roof of your home at their expense. 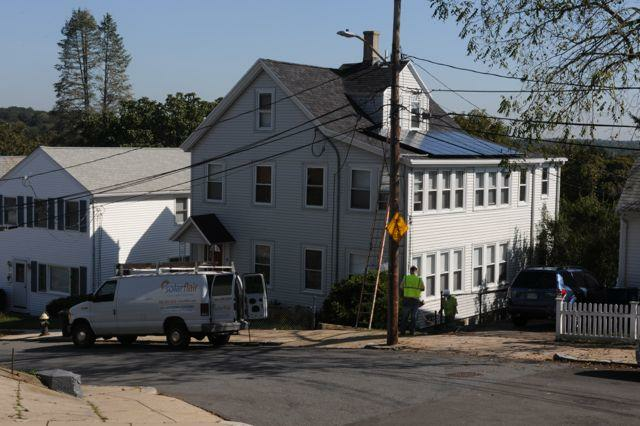 Read about both of those options--leasing a PV system and Power Purchase Agreements--here at energysage.com. 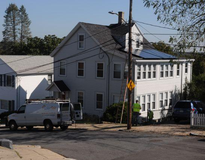 Leased solar photovoltaic system - Arlington - MA.